There’s something epic happening at the Waikiki Shell next Tuesday. 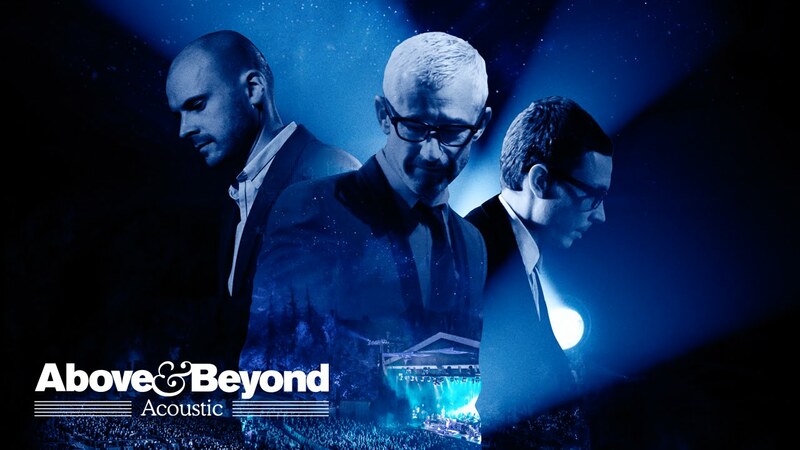 London-based electronic music trio Above & Beyond, known for the poignant trance sound that characterizes their music label, Anjunabeats, is holding a show – but it’s not a rave. Oh, there’ll probably be plenty of glowsticks and lighters in the air, but don’t expect a pounding bass beat. Rather, think of it as a classical concert with no pretense. Live musicians, a lineup of special guest vocalists, soaring, beautiful rhythms, and lots of singing along. I was raised on classical music, at a time when it was thought that by exposing your children to Bach, Beethoven and Tchaikovsky, you’d stimulate their brain development. When I first discovered Above & Beyond and heard songs like “Sun & Moon,” “Thing Called Love,” and “Can’t Sleep” which have since become iconic, I was thrilled at their synthesis of classical and electronic. My first live Above & Beyond show at The Waterfront at Aloha Tower was a memorable one. I found myself singing along, then looked around and was astonished to realize that nearly every person in the audience knew the words to these beautiful songs and sang along too. Jono Grant, Tony McGuinness and Paavo Siljamäki are the first DJ group to have ever sold out Madison Square Garden and the Forum in Los Angeles. They started remixing music under the name Above & Beyond in the early 2000s, and made their DJ debut in Tokyo alongside Ferry Corsten and Tiësto in 2002, followed by regular appearances at some of the biggest electronic music festivals in the world and rankings in the Top 10 of DJ Magazine’s top-100 DJ poll for seven consecutive years. 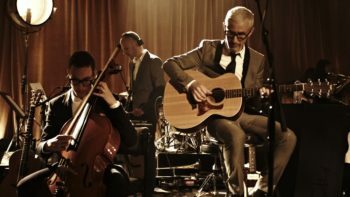 This year, they received a Grammy nomination for the song “We’re All We Need,” and their new album for which they are touring, “Acoustic II” is due out next week on June 3. The acoustic project began in 2013 with a short run that included the now-legendary Porchester Hall show in London ( the full hour and 22 minute concert film has over 3.2 million views on Youtube now) and has culminated in this year’s tour for their second acoustic album, with a core group of about 15 traveling musicians plus local additions at some shows, and star vocalists including Zoë Johnston, Justine Suissa and Cobi and Natalie Holmes. This show may be a “stripped-down” acoustic version of the songs, but the sound is just as lush, vibrant and emotional. “It’s going full circle in a sense, because we started out as musicians, and now we’re going back to being just musicians again, stripping away all the synths and computers,” said Jono Grant in one of their videos. It’s the perfect way to end Memorial Day weekend: Two hours of beauty, plain and simple. So if you need a little bit of inspiration in your life, or just need a break and some reflection, go and prepare to be transported. Tuesday, May 31 at 6:30 p.m.
All ages, $45-$125, available at ticketmaster.com.